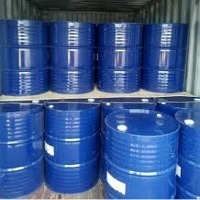 Application Solvent Applications, Chemical Intermediates, Pharmaceuticals, Acetone Feature IPA is produced by the direct propylene hydration process. IPA meets the diverse needs from solvent industry. Our division has been a stable supplier of raw materials for related industries. IPA is used for cleaning semiconductor wafer and LCDs. This highly value-added product has been enjoying rapid increase in demand in accordance with the development of such areas as information, communication and multimedia. High Purity We have high performance purification process to manufacture high purity IPA products. Our IPA maintains superior quality characteristics through products of high purity. It is a colorless, flammable chemical compound with a strong odor. It is the simplest example of a secondary alcohol, where the alcohol carbon is attached to two other carbons sometimes shown as (CH3)2CHOH. It is a structural isomer of propanol. Isopropyl alcohol (also isopropanol, propan-2-ol, 2-propanol, rubbing alcohol or the abbreviation IPA) is a common name for a chemical compound with the molecular formula C3H8O. It is a colorless, flammable chemical compound with a strong odor. Short on time? Let isopropyl-alcohol sellers contact you. Shandong JInhao International Trade Co., Ltd.
1. Product Uses: 1).Industry Uses: Adhesives and sealant chemicals,Agricultural chemicals (non-pesticidal),Fuels and fuel additives,Functional fluids (closed systems),Intermediates,Laboratory chemicals,Lubricants and lubricant additives,Paint additives and coating additives not described by other categories,Process regulators,Processing aids, not otherwise listed,Processing aids, specific to petroleum production,Solvents (for cleaning or degreasing),Solvents (which become part of product formulation or mixture) Surface active agents. 2). Consumer Uses: Adhesives and Sealants,Air Care Products,Arts, Crafts, and Hobby Materials,Automotive Care Products,Building/Construction Materials - Wood and Engineered Wood Products,Building/Construction Materials not covered elsewhere,Cleaning and Furnishing Care Products,Electrical and Electronic Products,Food Packaging,Fuels and Related Products,Furniture and Furnishings not covered elsewhere,Ink, Toner, and Colorant Products,Lubricants and Greases,Paints and Coatings,Paper Products,Personal Care Products 2.Specification: (1)CAS NO:67-63-0 (2)EINECS NO:200-661-7 (3)HS CODE:29051220 (4)Purity:99.95% (5)Molecular Weight:60.06 (6)Molecular Formula:C3H8O (7)Color:colorless transparent 3.Packaging&Shipping: 1).Packaging:160kg/drum,80drums/FCL,12.8Tons/FCL 2).Shipping:10-14 days after payment 4.Company Information: Shandong Jinhao Chemical co.,ltd, locates in Dongying,Shandong,China.Our company specializes in the production and sale of chemical products and is in charge of export and import business handling. With over ten years experiences, our company has cooperated with many customers ,such as the United States,Australia,Brazil,India,Singapore,Russia,Bangladesh,New Zealand,Thailand and so on. 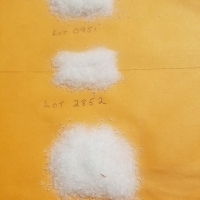 Our company enjoys a good reputation.Now the main products are basic inorganic and organic chemicals, such as Methylene chloride,Aniline oil, Refined Naphthalene,Propylene Glycol,Chloroform, Dimethyl formamide,Dimethyl carbonate,Acetic acid glacial,Isopropyl alcohol,N-butyl acetate,Acetic ether and other related products. We are the representative of the alcohol factory in Ukraine. 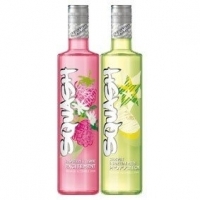 We would like to offer You our Alcohol products: Wine Sangria Vodka Cognac Champagne More information in attached files. 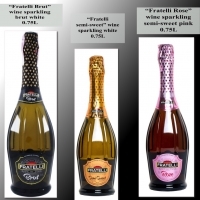 We advise you to pay attention to our exclusive new champagne shake Chantel.